A backpack radio station designed to warn remote communities of impending natural disasters and a bio-degradeable tower that harvests water from air are among the projects shortlisted in What Design Can Do's Climate Action Challenge. Dezeen is media partner for the Climate Action Challenge. The contest – organised by What Design Can Do (WDCD) in collaboration with the IKEA Foundation and Autodesk – asked creatives from around the world to come up with new ways to combat climate change and its impacts. The 35 shortlisted designs were selected from 384 submissions from 70 countries, which focused on the topics of water, energy, food, housing and health. On the shortlist alongside Iman Abdurrahman and Joris de Groot's backpack radio station is Arturo Vittori's bio-degradable Warka Tower, and Mirjam de Bruijn's condensed household cleaning products, which come in the form of waterless capsules. 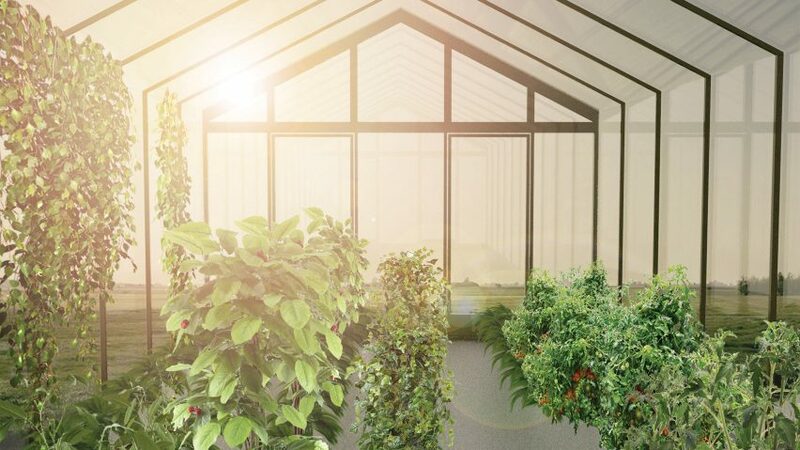 Other selected projects include Ilteris Ilbasan's low-cost treatment beds, which are designed to be used for contagious disease outbreaks in developing countries, and a self-powering greenhouse by Marjan van Aubel. "The results of WDCD Climate Action Challenge show that creatives worldwide are concerned with our planet, and have a focus on the future," said Richard van der Laken, co-founder and creative director of What Design Can Do. "These projects tell me that if we act now, we can work on creating a conscious and active next generation," he added. Winners from each category – professionals, startups and students – will be selected from the shortlist by an international jury, to share an award package worth €900,000 (£800,000). This includes a production budget and an acceleration programme that will assist designers in developing their proposals. The jury includes Joe Speicher, CEO of the Autodesk Foundation; Elizabeth McKeon, head of strategy at the IKEA Foundation; Joel Towers, executive dean at Parsons School of Design; and Naresh Ramchandani, partner at design firm Pentagram. The winners will be announced at What Design Can Do's live event in São Paulo on 23 November 2017. To find out more about the competition and other nominated projects, visit the What Design Can Do website.